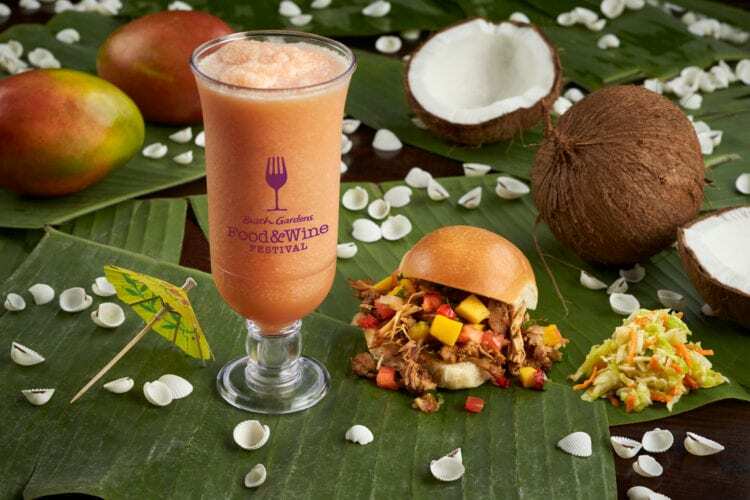 Proving that Epcot isn’t the theme park where you can eat and drink your way around the world, Busch Gardens Williamsburg is bringing back its annual Food & Wine Festival for a seventh year starting on May 17, 2019, featuring brand-new ethnic food booths and beverage bars alongside returning favorites. 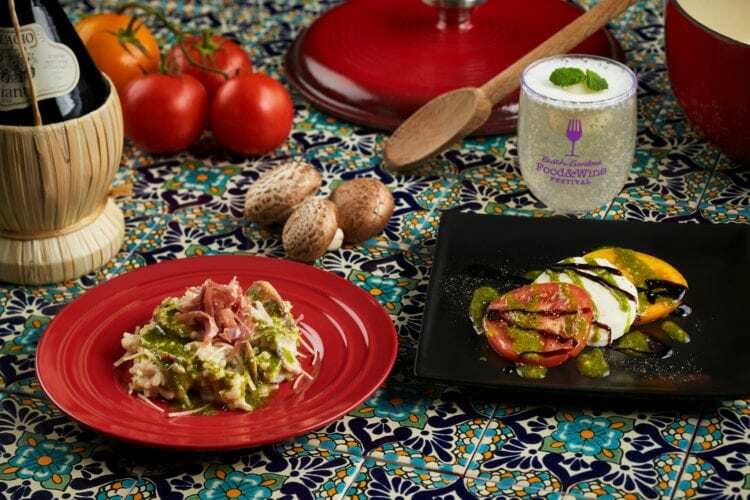 Feast on new flavors from Italy, Jamaica, and more during Busch Gardens Williamsburg’s 7th annual Food & Wine Festival. 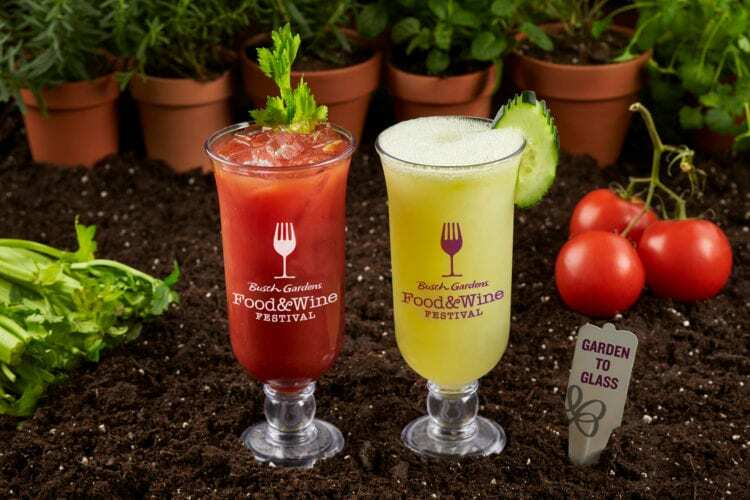 Busch Gardens Williamsburg‘s Food & Wine Festival will take place every Friday, Saturday and Sunday, May 17 – June 30, and Memorial Day Monday. Guests can enjoy authentic international tastes at 19 themed food and beverage kiosks featuring specialty entrées and desserts and more than 100 craft beers, wines, specialty cocktails and non-alcoholic beverages. 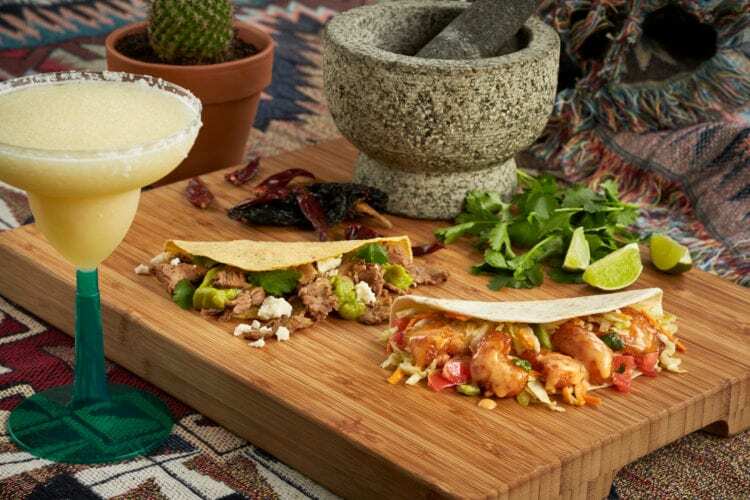 Offerings include Fried Shrimp Tacos, Carne Asada Tacos and Chorizo Empanadas. Menu features Jerk Chicken Sliders, Gamba Fritters and Pineapple Rum Upside-Down Cake, as well as an assortment of drinks. 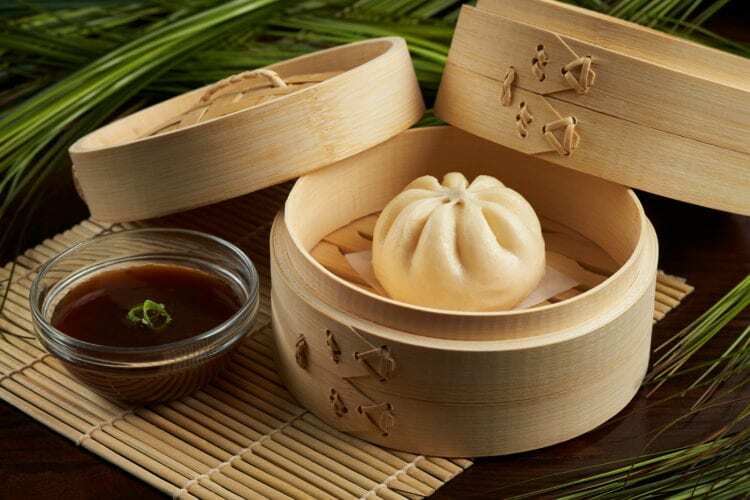 Menu includes a Chicken Adobo dish, as well as Siopao, a steamed pork bun with sweet soy glaze. Offerings include Creamy Mushroom Risotto and Caprese, as well as a selection of drinks. Cocktails include Watermelon Mojito and Mint Julep. Rosemary Lemon Moscato and specialty Lavender Lemonade also are available. A large selection of craft beers will be on tap at this new location. Offerings include Bloody Mary and Summer Wind cocktails, as well as a specialty smoothie. Cocktails include traditional Red Sangria, Citrus Moscato Sangria and Strawberry Rose Sangria. In addition, special offerings like craft brewery talks, wine, tequila and scotch tastings also will be offered. Food & Wine Festival Food & Beverage Samplers can be purchased for festival-goers to get it all. Tastings and samplers require an additional fee. 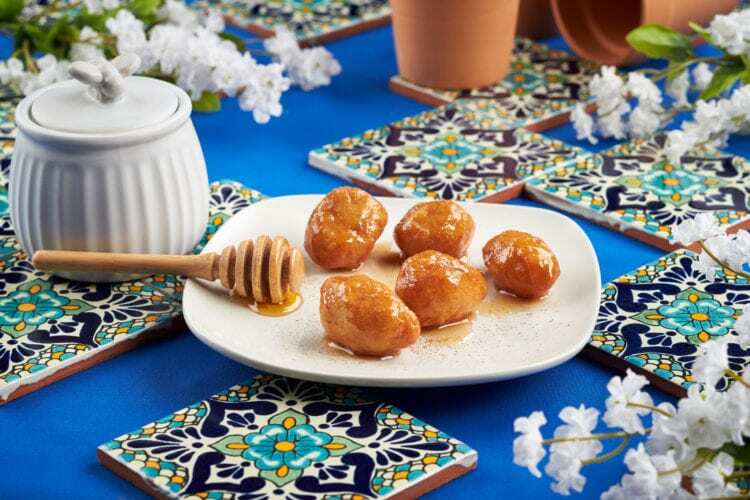 New to the Food & Wine Festival this year, SeaWorld Parks & Entertainment is replacing polystyrene foam with products made from 100 percent recycled material in all 12 of its parks, including Busch Gardens and Water Country USA. The parks have removed polystyrene foam dinnerware products, including bowls, plates and trays, from all of their dining operations. “Guests can expect to see the new products in our dining facilities, as well as at our Food & Wine Festival,” Kitenko added.